One pair of 14 karat yellow gold earrings. 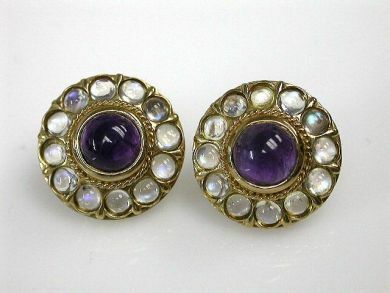 The circular earrings are set with two cabochon amethysts (2.83 carats). Twenty-four cabochon moonstones (2.44 carats).